Meet the GLF members who are making things move! 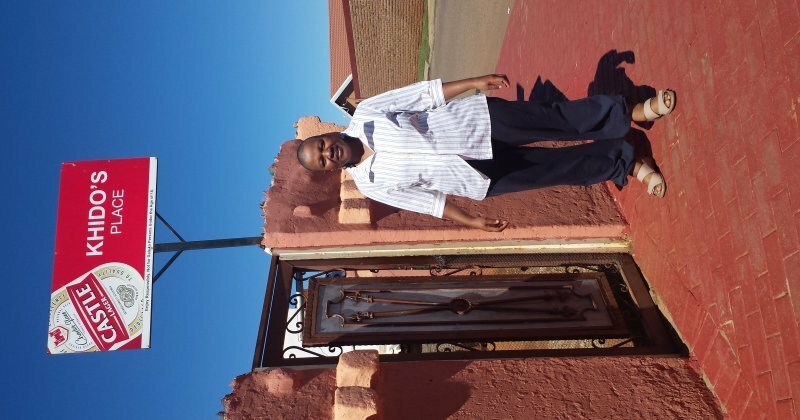 From Sebokeng to Sharpeville, the stories of Gauteng's tavern traders all resound with passion, enjoyment and good times. Susan Khoase started her business way back in 2004 with just 5 cases of 750ml dumpies. She was an off premises consumption trader but her success over the years saw her grow to eventually become a full time on-premises consumption pub. Unfortunately, there's more to business than meets the eye and the challenges can, at times, seem daunting. 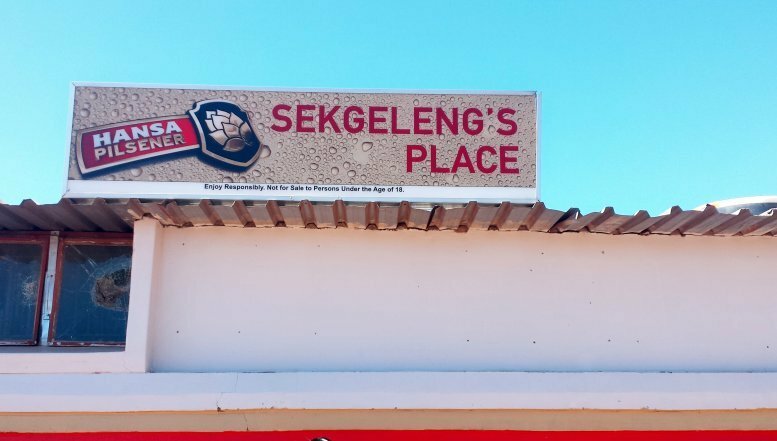 Segeleng's Place has experienced no fewer than five robberies, all of which set the business back significantly. These events, however, did not deter Susan from her course, and together with her team she kept striving for the good of the business. The establishment can accommodate about 60 patrons and its security has been tightened up to make it a safer environment. "Whether you are in formal or informal business, the fundamentals will always be selling and buying or demand and supply," says Susan. Spotong can attest to the fact that Segeleng’s Place is the perfect spot to cure a hangover. It comes alive every Thursday to Sunday, and remains a hive of activity at weekends. Susan also speaks passionately about encouraging entrepreneurship among the youth, and she commends the large number of active youth who do really want to set themselves apart and make a go of things in business and other spheres of life. Spotong recommends that you try Segeleng’s Place for a truly rewarding and entertaining time out with your friends. If you enjoy listening to the latest in local music, great beer, good food and fantastic vibes, this spot is for you. Sacks Tatae started dabbling in entrepreneurship back in the 90's as a natural continuation of his mother’s footsteps. He began by selling stock on a very limited scale, just enough to gain enough capital to later venture into liquor trading. 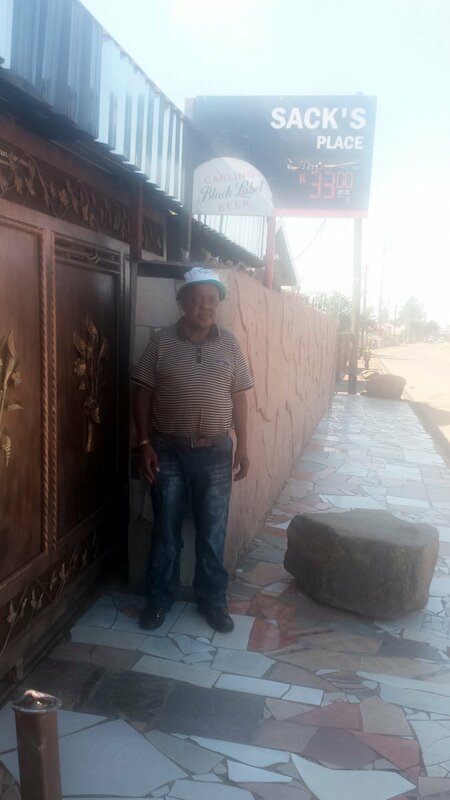 He then joined the Sedibeng Liquor Association, once he had become an established liquor trader. "Business has its own set of rules, and how I could have taken those steps and not slipped and fallen along the way is puzzling to me," says Tatae. Having taken over the business from his mother Emily, he decided to call it “Emily's kitchen”, to honor her memory and teachings. A highly driven businesswoman, Emily is said to have been an exceptional cook, who incorporated selling cooked meals to the locals along with running her mini grocery shop. “Business changes all the time, but my strategy is simple: I look at the community I live in, which is not the Northern suburbs of Johannesburg, and structure the business in a way that will rightfully serve the majority of my patrons,” says Sacks. You can’t visit Sharpeville without checking out Sacks’s Inn. Here you will find great food, served with a complementary fizzy drink from Coca-Cola, ice-cold beers and awesome hospitality. Sacks Inn is also known for its invaluable networking opportunities, all topped off by the latest in jazz, which is ideal for their more mature audience. Ever wondered how a weekend with your best friends would be like if you found yourself in one of the coolest places in Sebokeng? Wonder no more. This Zone 10 located spot is at your rescue! It is at the heart of this historic township and truly lives up to the slogan, “The unplugged vibe”. With local patrons served their all time favourite, “half skopo” (directly translated, a half sliced head of either a pig or cow), you can’t go wrong. The menu includes “iKota”, bunnychows and township burgers, all a true feast! Mamokete Khambule started this business 15 years ago, and says with a business driven family background, the journey was not too much of a drag. Mmamokete was well trained in this area as a child, which was particularly essential considering the path she later took. Today, she heads a family of five and is responsible for at least two households and has she has two employees. A member of the Sedibeng Liquor Association since 2005, she tells Spotong of how knowledgeable she is now because of this membership. “Entrepreneurship involves a high level of uncertainty. There is always concern about the success of the business, but thankfully my journey was not too rocky,” she says. When asked about the competitiveness of the industry and her general surroundings, she says it is not for her to compete with anyone and she wishes people would stick to their lanes and do their best so that there is guaranteed growth in the industry. “Targeted competitiveness is so unnecessary, and I condemn it,” she says. Khido's Place is by far the best place in the area to conclude your week. They are open until 12am latest. Ice-cold beers, good music and good food, all go together towards making a great outing with friends. Stop in any day, and enjoy! 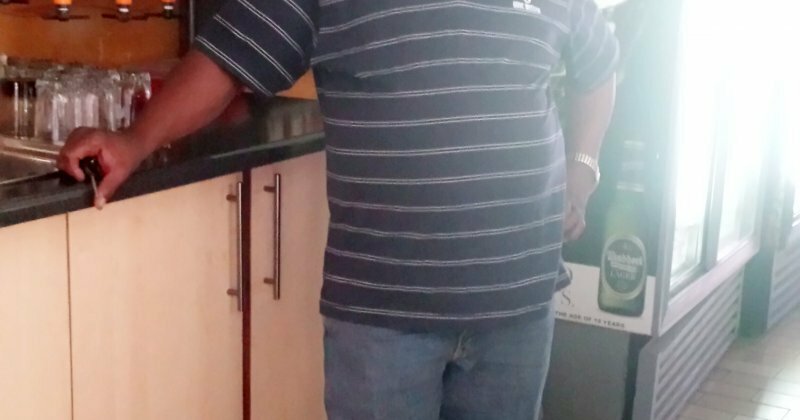 Abram Letseba, popularly known as “Danger,” his football pet name from back in his senior school years, started back in 1989 with off premise consumption trading (takeaways). The name Danger gives makes one think of a sign on one's gate that reads "Beware/Pasop/Qaphela/Enter at your own risk". You’d expect to be shredded if you dared proceed! But there’s nothing dangerous about Letseba. Indeed, he is a people's person, and his welcoming warmth catches the eye. He has this down-to-earth approachability along with a disarming humour that adds to his charisma, and he is known as a straight talker who takes no prisoners. While stating his opinions, however, he has a playful side too, and this emerges throughout his talk with Spotong magazine. 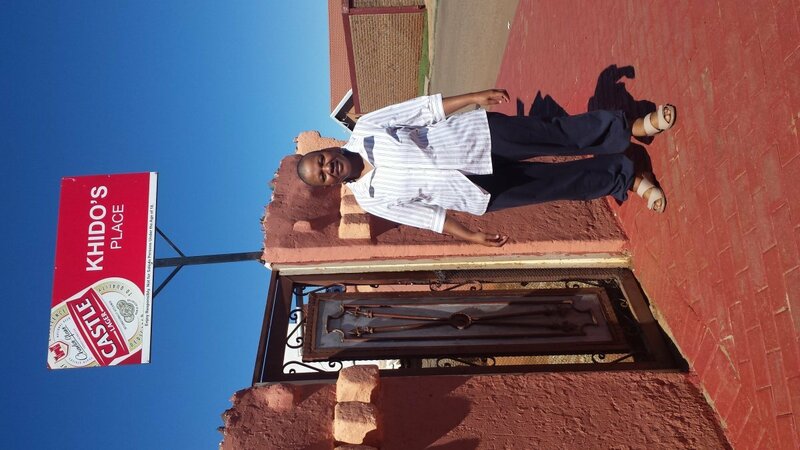 Danger tells us how he became successful by identifying with the poor, having grown up in Sharpeville. 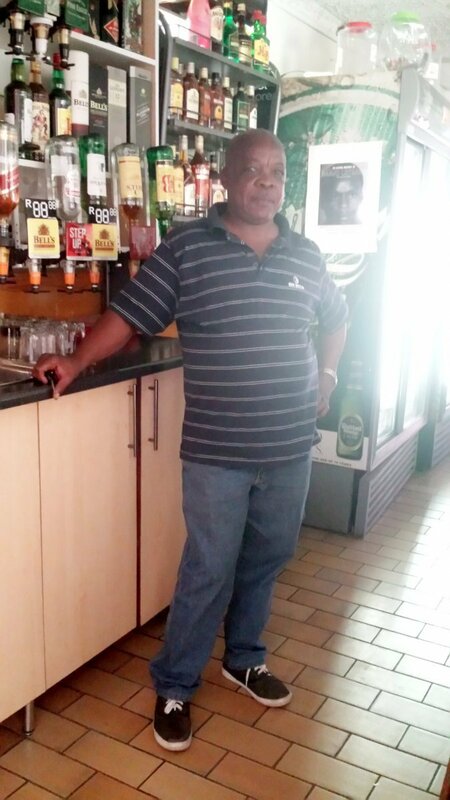 He is now owner of two establishments just a short distance from his family home: an off consumption bottle store and an in-house-consumption restaurant and pub. 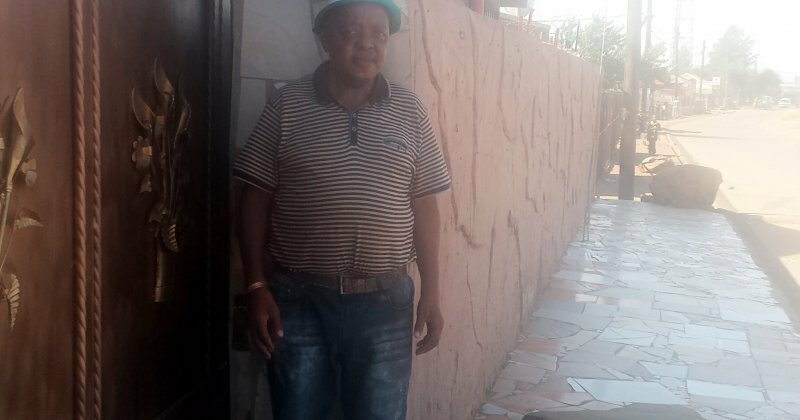 "It all began with me being a delivery boy, a 'bootlegger' as we were regarded back in the days,” he says, Danger was one of the very few who acquired their trading licenses back in 1996 and have since complied with the legislation of the industry. "My growth as an entrepreneur hasn't come without challenges. However, through tenacity and patience, I have established a legacy," says Letseba. Looking at retirement soon, Danger has begun training his son to take over. 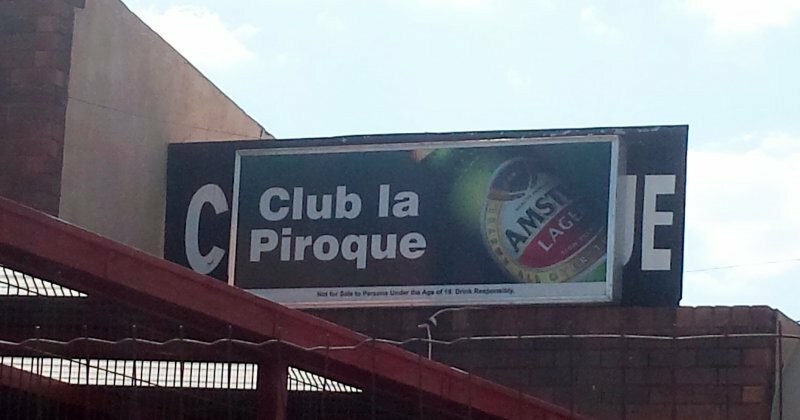 “The legacy of "Club La Piroque" should be about how many children are professionals because we gave their parents jobs and that I also took it upon myself to advance the education of a number of students within the community by taking them to senior school and beyond. That's how I want to be remembered,” he says. Both his establishments have employed over 10 employees over time. 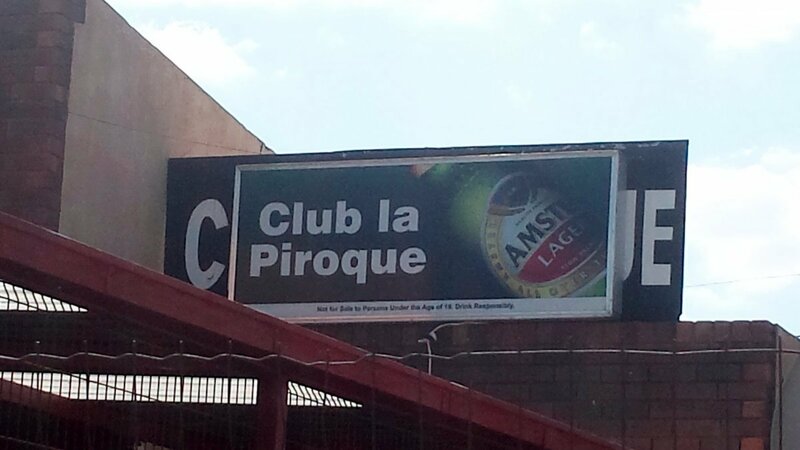 So if you’re looking for a unique Kasi experience that will leave a lasting impression on you and your friends, Club la Piroque is where you need to be. Recommended and preferred by locals, their hospitality and breathtaking scenery speak for themselves. Open seven days a week and also serves food. Joindre à la fête!